A biometric device is a hardware terminal designed as an instrument to solve clocking problems, and its complementary software is a program designed as a tool to solve operational problems. In this biometrics clocking system, clocking plays a lesser role in the entire operating system. Software is indeed pivotal in almost every business system. 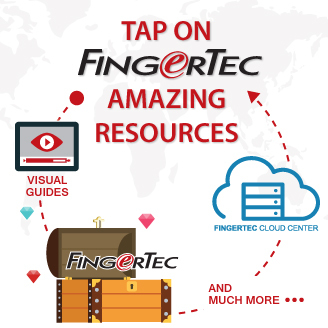 While FingerTec seems like a hardware’s brand name; we have been preparing ourselves and dispensing more resources in software development for our brighter future. This bestseller TA100C has been selling like hotcakes worldwide yet this is not the future as we see it. When the iPhone debuted in 2007, and later the iPad in 2010, they made a huge paradigm shift in the IT world that was once dominated by personal computers. 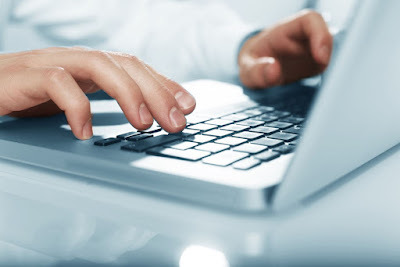 The computing power that normally stayed intact on a clunky desktop had been shifted into the hands and pockets, which came with them the term ‘mobility’. Obviously, size did matter; an action used to transfer software from a CD to a computer simply couldn’t be performed for a tablet and smartphone anymore. Laptop was the coolest in town before smartphone said hello. And we, as one of the market leaders in time & attendance industry and an innovator ourselves, started to think that since everyone carries a handset, do we really need a special device to do time clocking? This is just like how digital camera became quite irrelevant when the smartphones can take high-quality picture. Instead of letting the newcomers phasing out your products, you may need to take the initiative to kill your own products with newer inventions. We predict that the industry would inevitably be drifting slowly away from the clocking terminals and, the initial software that runs on Windows Operating System that were usually used by a few administrators, seemed inadequate when the business owners want to tap on the computing power that is within the employees’ grasp. The software has to reinvent itself and become more accessible among staff, more collaborative among peers, more communicative among superiors and subordinates; and to notify irregularities in real time. Then, abruptly, the software-as-a-tool’s era is over and software pulsates like a central nervous system, transmitting signals into your business operation. When the trend is shielded away from a specific hardware but offered other probable methods for clocking, and demanding all of the abovementioned features to be available in the BYOD (Bring Your Own Device) era, another great time of IT for corporations that unavoidably based on cloud computing and business model based on SaaS (Software as a Service) is declared arriving. 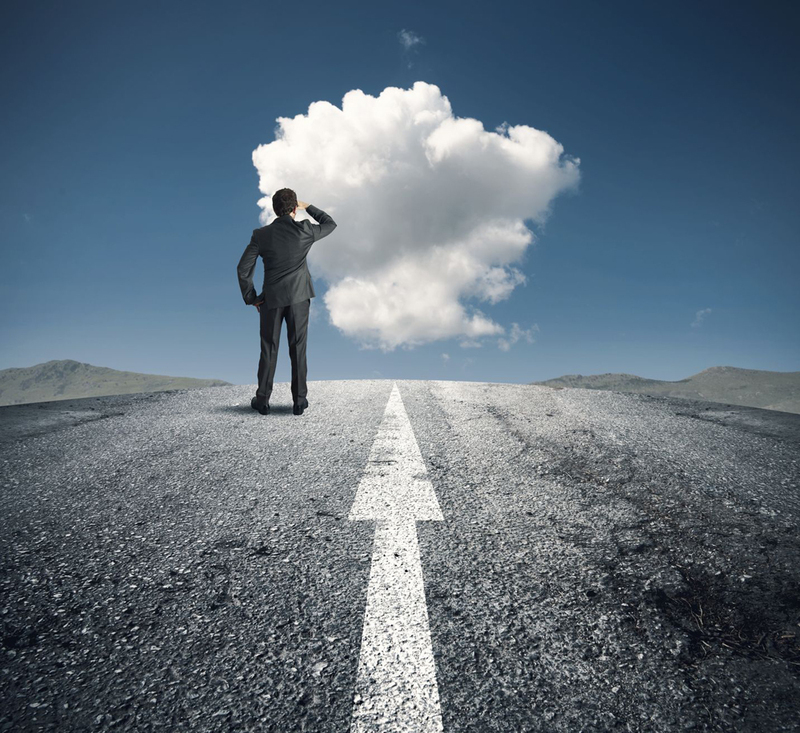 This trend supported by Computerworld's 2015 Forecast predicts that 42% of IT decision makers are planning to increase spending on cloud computing in 2015, with the greatest growth in enterprises with over 1,000 employees (52%). By 2018, 59% of the total cloud workloads will be Software-as-a-Service (SaaS) workloads, up from 41% in 2013. We have another chart to strengthen the upward trend for the adoption of Cloud Services. 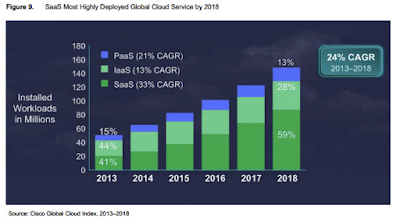 As normal software application users, you just deal with SaaS providers, and can ignore Platform as a Service (PaaS) and IaaS (Infrastructure as Service) where SaaS providers will deal with them to park their cloud applications onto it. At FingerTec, we noticed the trend and set our transformation plan since we adopted Salesforce.com as our Cloud CRM system in 2008. 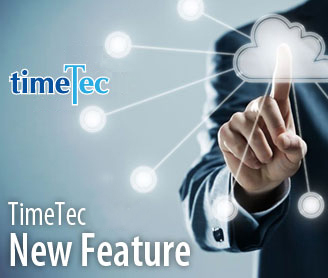 Today, we have launched TimeTec, cloud-based time and attendance system (www.timeteccloud.com), and EpiCamera, cloud-based surveillance system (www.epicamera.com), and we continue to add features and refine the systems to meet market expectations. 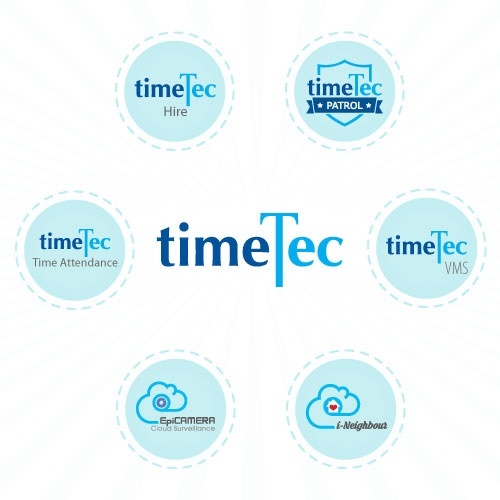 In the pipeline, we have TimeTec Cloud Visitor Management System, TimeTec Cloud Patrol System and TimeTec Cloud Recruitment System, and TimeTec Cloud Leave Management System. The former three Cloud Services will be introduced in early next year, and the fourth Cloud Application is expected to commence in the third quarter of next year. 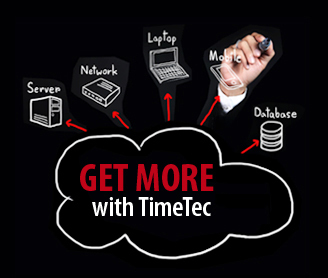 Our determination can even be observed by the change of the company’s name from FingerTec to TimeTec to mark our commitment in this transformation. The transformation will not only happen on the product level but our business approach as well in the foreseeable short future. Biometrics door access solution has been around for more than a decade but because biometrics sounds scientific as compared to the one-syllable "key" term, still many people are intimidated by its advancement when, in fact, biometric provides a more secure and user-friendly solution than the conventional push-and-turn key offers. Here are 10 reasons why biometric system trumps key for access control. 1. What can you do with your keys except to push it into a keyhole to turn the door open? Unless it’s a key to your heart, almost every key can only just open one door. Well, there’s no hole to turn in FingerTec R3 but it offers not only 1 but 3 methods to open your doors. With R3, you can use fingerprint, card and PIN plus the combinations of these methods for those who prefer things a bit knotty. 2. If you think using a key is fast and easy, let’s see how fast a fingerprint can open a door. 3. Keys cannot stop people from going in and out at certain hours (if it could, teenagers wouldn’t dare jump curfew). FingerTec R3 biometrics can prevent people from accessing a certain area at a certain time through its time zone features. So, if your office is off limit from 8 pm onwards, set your R3 to match. 4. Key system requires you to install a separate alarm system to complete your security system, but FingerTec R3 comes with the built-in alarm to be used during an emergency. This feature could potentially save you money, time and that headache to search for a good alarm system. 5. Key system provides authorized people with appropriate keys to access your premises, but you can’t tell who open which door at what time. FingerTec R3 can provide you with an audit trail, providing you with a reliable door access data at all times, transferable via IP, USB and Serial connectivity. 6. For those who wish to have fingerprint system for in and out readers, FingerTec R3 can be paired with R2c at an affordable price and not double the price. 7. Biometric system like R3 is tokenless (unless you choose to use RFID system along with the fingerprint) You can walk into the office without having to keep any keys because the key is you. No buddy punching is possible because the system only recognizes your body parts. 8. 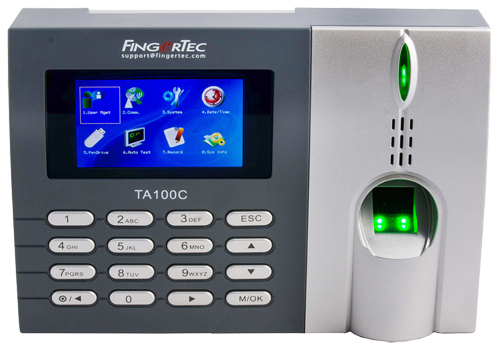 Modern access control like FingerTec R3 comes with fancy multimedia features, where you can broadcast short messages display, feature your company’s slide shows on the R3 when the system is idle. Keys are just keys. 9. When you purchase FingerTec R3, it comes bundled with powerful Ingress software which you can go as set as simple or as complex as your requirements. Keys are just keys. 10. Last but not least, FingerTec R3 has a great design for your office space and it is built with robust material, totally worth your investment.